In an interview with ABC News, U.S. Air Force spokesperson Jennifer Cassidy explained that drone pilots are often “less skilled” than pilots of manned aircraft because operating remote aircraft is less desirable. Cassidy’s comments come the week after a report by the Government Accountability Office found that drone crews suffered from low morale. “It doesn’t mean they were bad pilots, or bad officers, it just meant you got to have some at the top and some at the bottom,” said Cassidy. In a large military exercise, Israeli Air Force pilots practiced shooting down enemy drones. The live simulation, which involved fighter jets and combat helicopters, was aimed at intercepting drones and missiles that crossed Israel’s borders. “This year, we drilled responses to a different type of drone. One that is more advanced, faster and which can remain in the air longer than the standard drone,” Capt. Kobi, an officer at Ramon Air Base in southern Israel, said in an interview with the Jerusalem Post. The Federal Aviation Administration opened a drone test site at the University of Alaska Fairbanks. The mission of the site, which is the second of six nationwide to be declared operational, is to use drones to conduct aerial surveys of wildlife populations and to test fly the aircraft in hazardous weather conditions. On April 21, the F.A.A. opened the first test site in Grand Forks, North Dakota. The Federal Aviation Administration opened a drone test site at the University of Alaska Fairbanks. The site, which is the second of six sites to be declared operational, will be used to deploy drones to make surveys of animal populations, and to test fly drones in hazardous weather conditions. 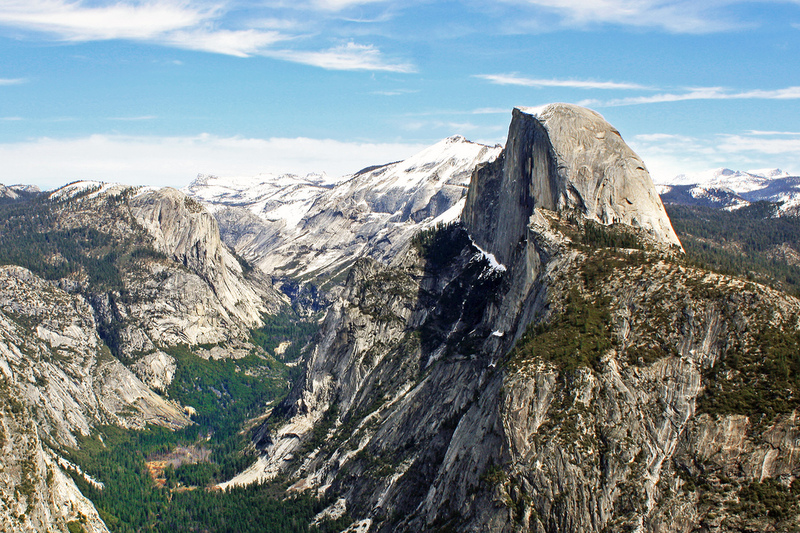 The American National Park Service has banned the use of drones within Yosemite National Park. In a decision announced on Friday, the Park Service wrote that drones “can be extremely noisy, and can impact the natural soundscape.” The Park Service cited a federal regulation that bans manned aircraft in national park airspace. Brazil is deploying drones to monitor the Brazilian Amazon for illegal logging, deforestation, drug trafficking and sand mining. The São Paulo Environmental Police will be using drones developed by AGX Tecnologia at the University of São Paulo, according to Fast Company’s Michael J. Coren. At The Guardian, Antony Loewenstein argues that the deaths of two Australian citizens in alleged drone strikes last November require an explanation from President Obama. At the New York Times, Michael Shear examines the close relationship between drones and President Obama in popular media. At Motherboard, Shawn Musgrave explains how the Federal Aviation Administration stonewalls requests for information regarding domestic government drone use. Also at Motherboard, Jason Koebler examines the F.A.A.’s increasingly strict stance on the use of drones in major American cities. At Defense One, Shawn Brimley, executive vice president at the Center for a New American Security, argues that in order to save the development of a combat drone the U.S. Navy should reexamine the mission of carrier air wings. At Just Security blog, Ryan Goodman considers whether domestic rebel members of al-Qaeda in the Arab Peninsula are considered legitimate enemy combatants under the Authorization for Use of Military Force. HEXa Media, a group of Japanese videographers, used a drone to make an eerie video of Fukushima Tomioka, a town that was abandoned after the tsunami and nuclear disaster. The U.S. Army and aviation company Sikorsky have developed an “optionally piloted” variant of the famous Black Hawk Helicopter. The helicopter can potentially “double the productivity of the Black Hawk in Iraq and Afghanistan by flying with, at times, a single pilot instead of two, decreasing the workload, decreasing the risk, and at times when the mission is really dull and really dangerous, go it all the way to fully unmanned,” Chris Van Buiten, Sikorsky’s vice president of technology and innovation, told Wired. Missile manufacturer MBDA has released a video of an MQ-9 Reaper drone test firing the company’s new high-precision missile at stationary and moving target vehicles. The missile successfully struck several target pickup trucks traveling at up to 70 mph. Rail company Union Pacific is studying the viability of using drones to monitor its 400 miles of railway bridges. “You could send a drone to do the inspection and then if it saw something you could send a person up to do the final inspection,” Union Pacific CEO Jack Koraleski told Bloomberg.